Disputes over Ohio wind damage insurance claims have drastically elevated as insurers attempt to mitigate their risks. The same amount of wind damage that likely would have resulted in full roof replacement from 2000-2010 does not ordinarily get the same result nowadays without the appropriate legal backing. Instead, many insurers only pay for patchwork repairs or even deny the claim all together. You religiously pay your premiums for full replacement cost, so you probably would not be happy with or expect to be paid only for a piecemeal roof. Here in Ohio, insurers are governed by regulations that prohibit them from leaving you with a checkerboard roof. Under a replacement cost policy, insurers must replace as much of your property as will result in a “reasonably comparable appearance.” Unfortunately, what an insurer typically views as “reasonable” is often quite blurred by its profit motive. Our office regularly runs into cases where the repaired roof or siding is extremely noticeable, yet the insurance company says it is reasonable and refuses to pay for replacement of the entire roof to create a uniform appearance. With the right help and proper legal argument, Ohio matching claims fortunately often get turned around. Other times your roof may be in such a condition that your roofer cannot patchwork repair it without causing damage to the surrounding shingles. Here in Ohio, any “consequential physical damages” occurring in the course of repairing a covered loss are your insurer’s responsibility, provided that the damages could not reasonably be avoided without undue hardship. 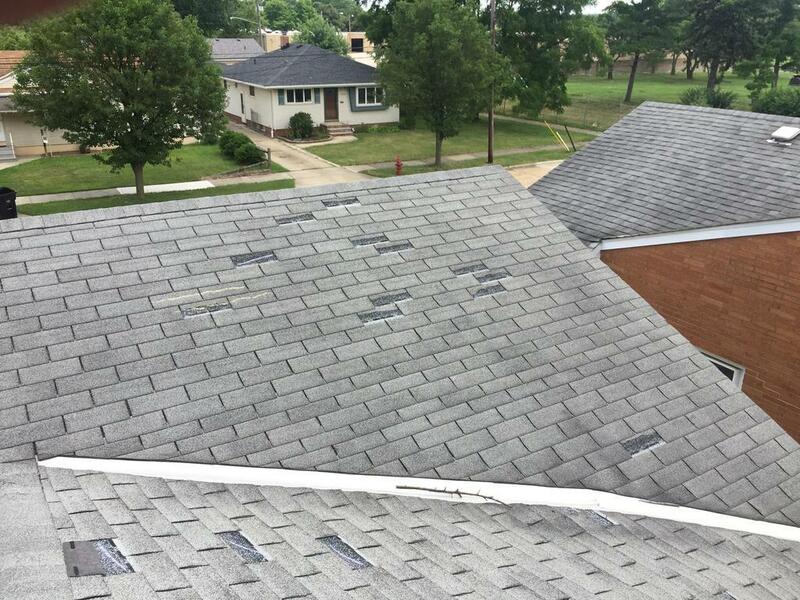 Unfortunately, we often see Ohio wind damage claims where the roofer deems the damaged roof unrepairable, yet the insurer refuses to pay for complete replacement. Our office regularly turns around Ohio repairability disputes. If you’re facing a problematic Ohio wind damage claim, feel free to contact us. Attorney Steve Whetstone is an experienced Ohio wind damage lawyer.